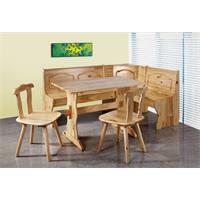 To plan the correct layout for a kitchen and find suitable furniture for it is surely no simple task – and that’s why Sixbros offers you a corner kitchen bench made of solid pine as a very clever solution. 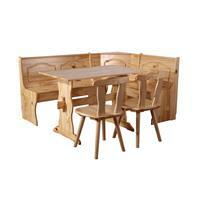 This country style kitchen assembly just fits into every classically furniture kitchen. Available in white or natural wood, they will let you feel a breath of holiday whilst staying at home. Don’t hesitate an get the set for a bargain prize!